The Flag Company has recently started large format printing using fabric as the medium. 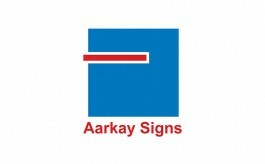 It can produce 10 ft wide soft signages with no visible joint. Mumbai-based soft signage manufacturing company The Flag Company has recently started large format printing using fabric as the medium. 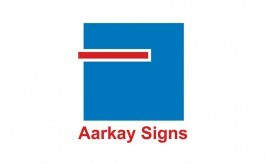 The company, that manufactures every element of a signage starting from fabric and aluminium panels (except for the LED lights), claims to produce large signages with width as big as 10 feet with no joints making it aesthetically superior. Talking to Retail4growth, Dalvir Singh Nagi, Managing Director, The Flag Company, explained further, "We are one of those soft signage manufacturer who produce every part of soft signage except for the LED lights. Though there's an awareness regarding fabric printing in signages, even today, flex use is rampant. These fabric signages are not only friendly to the environment but washable too making it easy to maintain. Moreover, we are making soft signages with width as long as 10 ft with no joint to be visible. 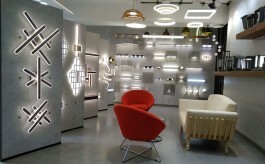 I think that's a great step towards making more aesthetic soft signages." The Flag Company supplies to various stores including Central, Big Bazaar, Anita Dongre, Global Desi and many more covering almost 5000-10,000 sq ft of retail space every month.